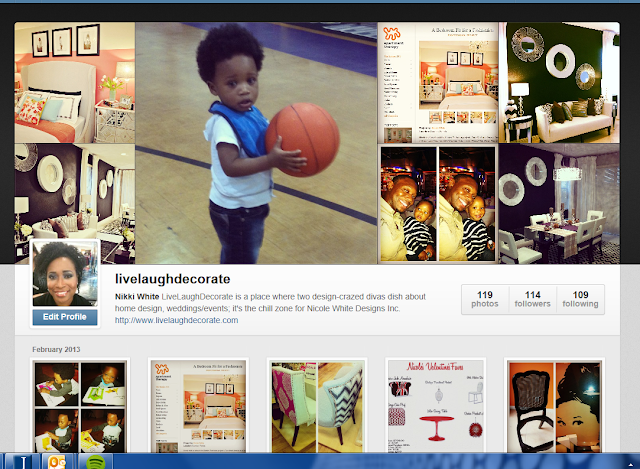 Live Laugh Decorate: Instagram This! Sometimes I'm missing in action here because well, life is kinda hectic. But I'm usually posting something fun, quirky, design or Xavier related over on Instagram so be sure to head on over yonder to get your LLD fix. Be safe and have some fun this weekend. I just "followed" you. You said the magic word "Xavier". hehe. He gets you all the time. Happy Friday lady.